Despite the many, many recipes that are available online, somehow it's still difficult to come up with an idea for dinner. I completely understand! Some nights nothing sounds good—or we don't have all of the ingredients for what I'm currently craving. Most evenings I'm simply so tired from having two little ones pulling on me, calling my name a thousand times, and crying all day long that eating dinner is not at the top of my list. I'd rather just go curl up in bed and go to sleep than think about cooking. So thankfully, when I am at my worst, I have a list of my favorite, easiest, and most flexible meals taped to the side of the refrigerator. 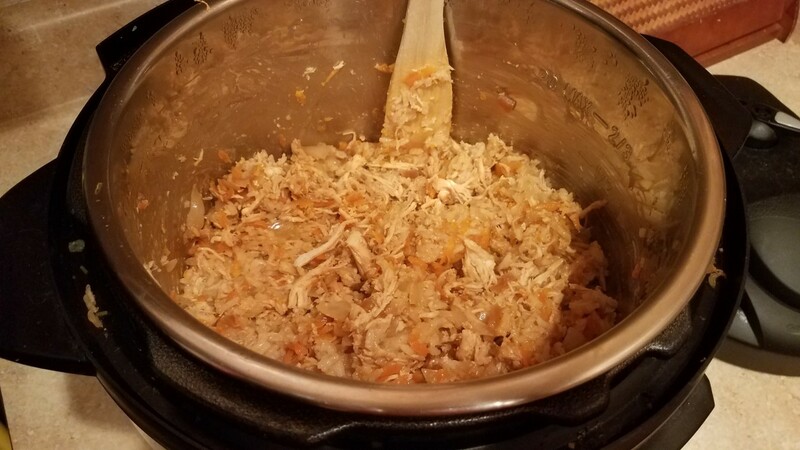 Among that list is this little gem, which is basically just chicken and rice, mixed with shredded carrots and chopped onion (all of which we always have around), topped with a really yummy sauce. I think we've had this meal at least three times this past month, but it is just that good. 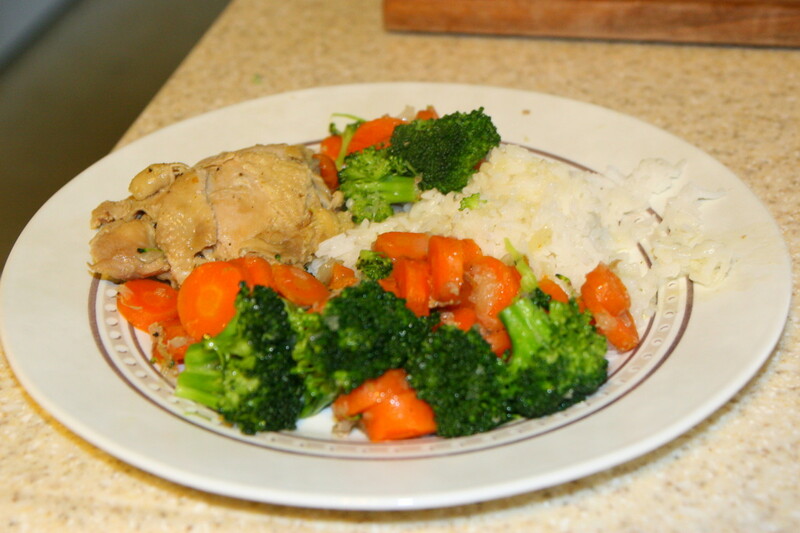 Those are the kind of meals I like, especially with the circus I'm running all day long: easy, healthy, and flavorful. And this one is sure to please all of your monkeys. 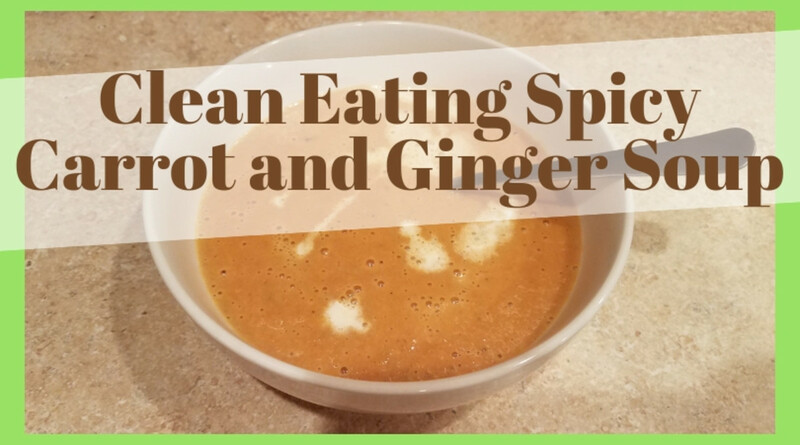 I like to toss it into my Instant Pot for ease, but this can easily be done in a Crock-Pot or on the stove, as well. I just enjoy not having to monitor it, do anything extra on the side once I toss it all in, and I can cook everything all together in the same pot. 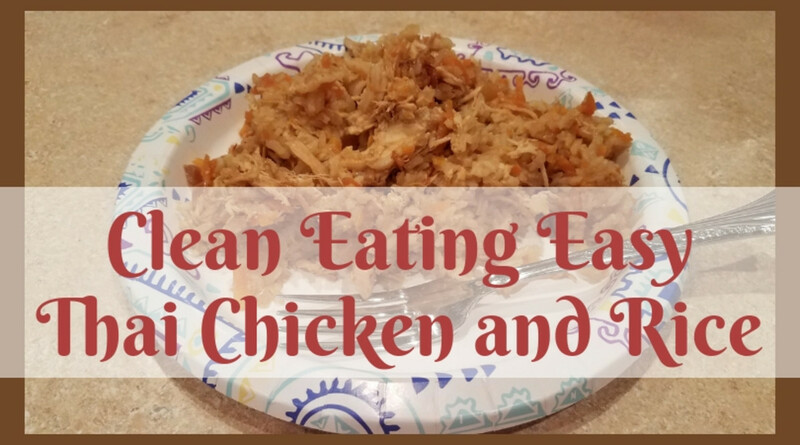 How much easier can a meal get! Let me show you how I did it. 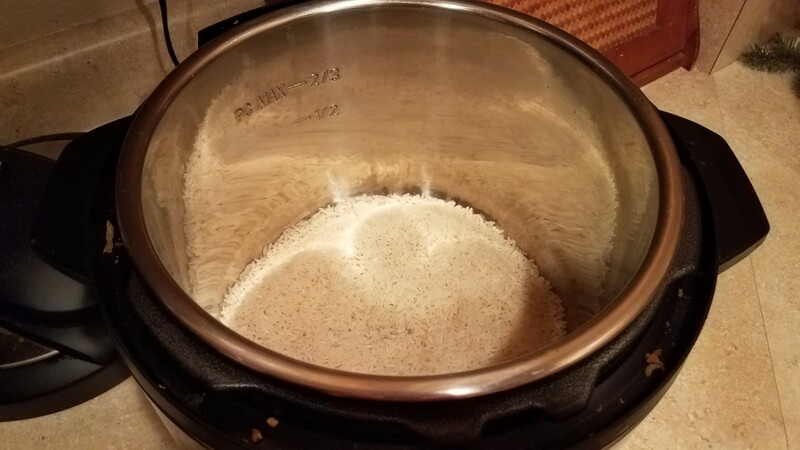 Pour the uncooked rice into the bottom of your Instant Pot. Now top with your diced onion and shredded carrots. 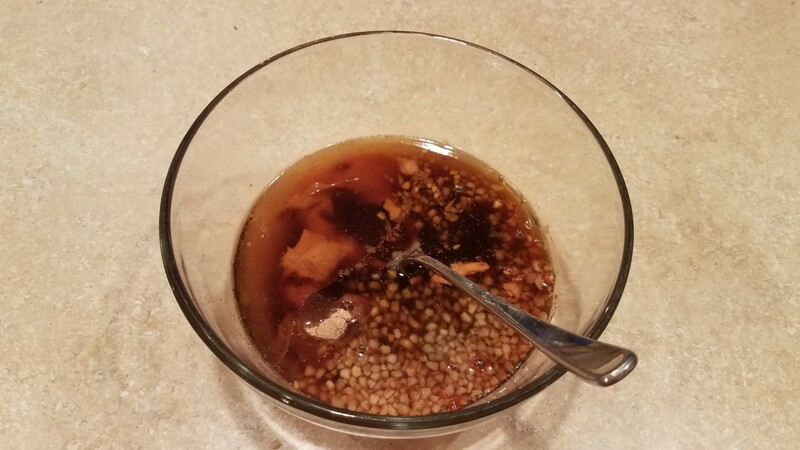 On the side, mix up your Thai sauce. 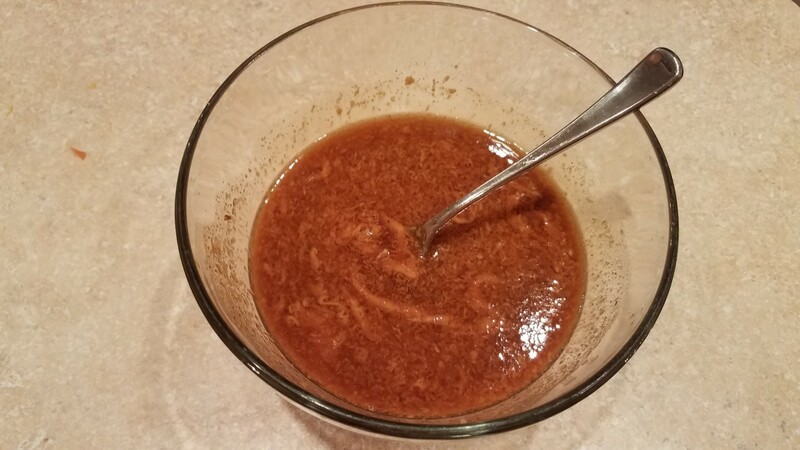 Pour this in on top of your chicken, rice and veggies. Close and lock your Instant Pot. Cook on Manual for 10 minutes. When it is finished cooking, let the pressure release naturally for about 10 minutes before manually releasing the rest of the pressure. 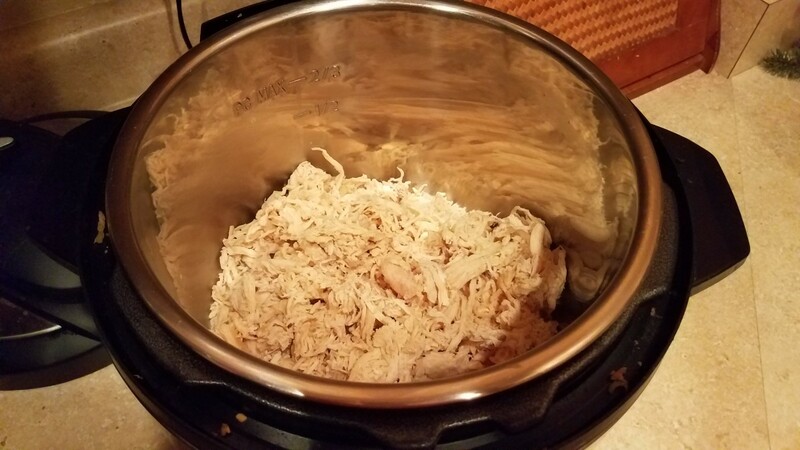 If you cooked raw chicken breasts in your Instant Pot, you'll want to pull them out and shred them before pouring it back in. Mix everything together. Serve with steamed veggies. Yum! 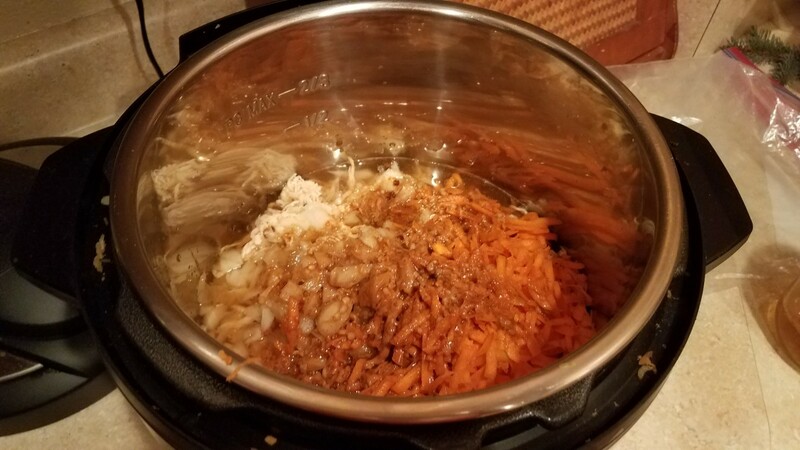 Start by adding rice to your Instant Pot. This would also work in a Crock-pot or a pot on the stove. Add your chicken on top of the rice. Mine is pre-cooked, but it doesn't need to be. 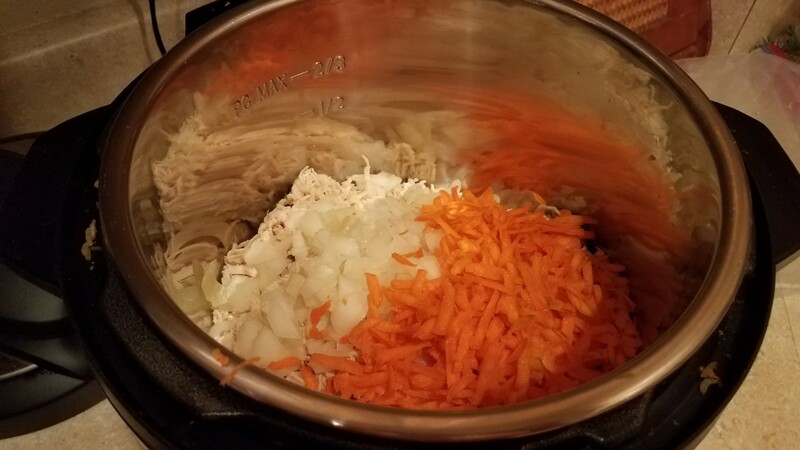 Add in your diced onion and shredded carrot. And then add in your chicken broth. I make mine homemade for the best flavors and ingredients. Mix up your sauce ingredients adding a little at a time. 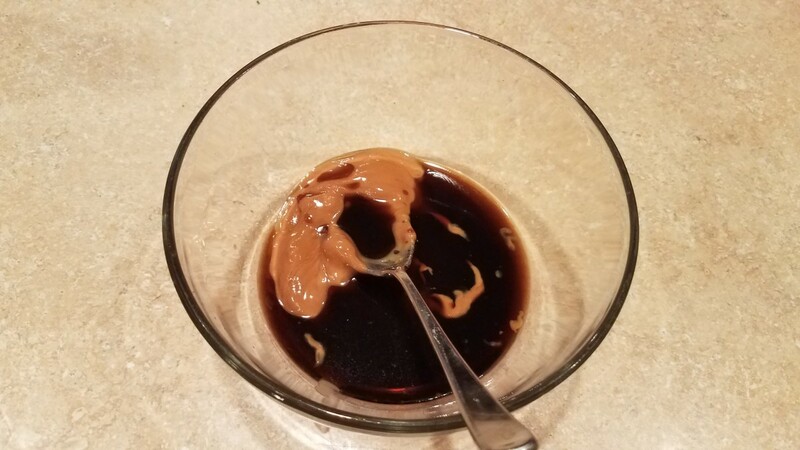 You'll want to melt your peanut butter first to help it mix in. Finally, pour your sauce over the top. 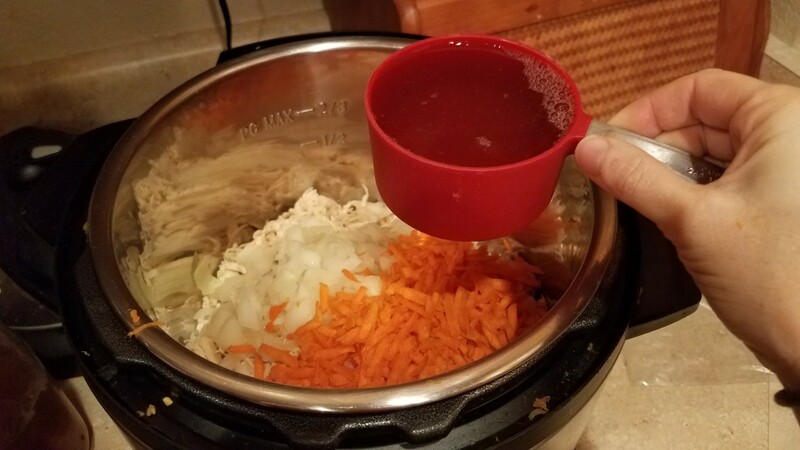 Seal up your Instant Pot and lock the cover. Cook on Manual for 10 minutes. When done, let the pressure naturally release for 10 minutes before manually releasing it. 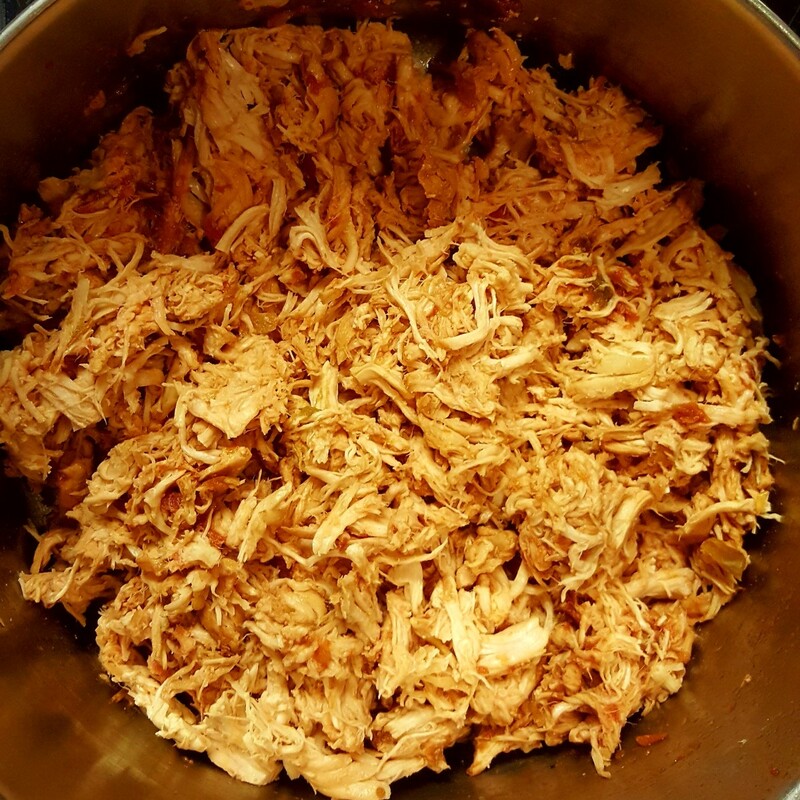 Shred your chicken, and stir everything together in the pot. Yum! Although we eat really healthy around here—with fresh, whole foods, typically from our own garden, no processed foods, and all-natural ingredients—I still like to "sneak" veggies into our meals. My husband isn't a big fan of veggies, but he has done a great job of eating them anyway for the sake of our children. My oldest son (4 years old) also sometimes binges on bread and cheese for days on end, so adding a few extra veggies fills in a few gaps in their diet. 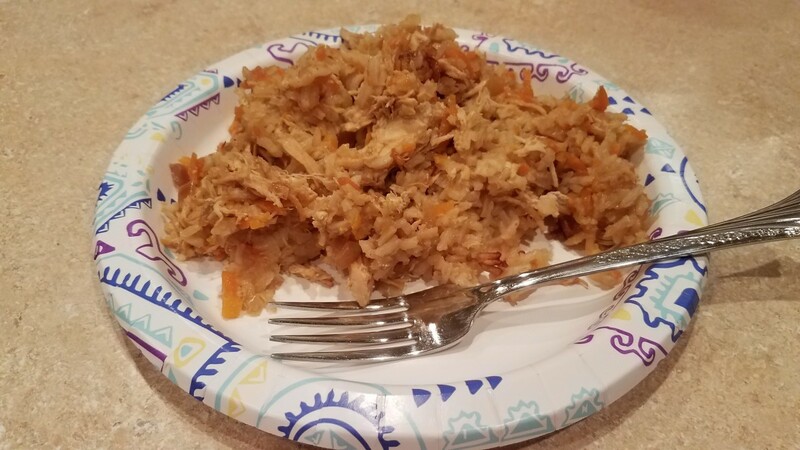 So, some shredded carrots and chopped onions add a little extra oomph to this otherwise simple dish, and I can still serve my son's favorite veggies on the side. I highly encourage being creative, though. Shredded zucchini or squash, and even bean sprouts would be delicious in this dish. 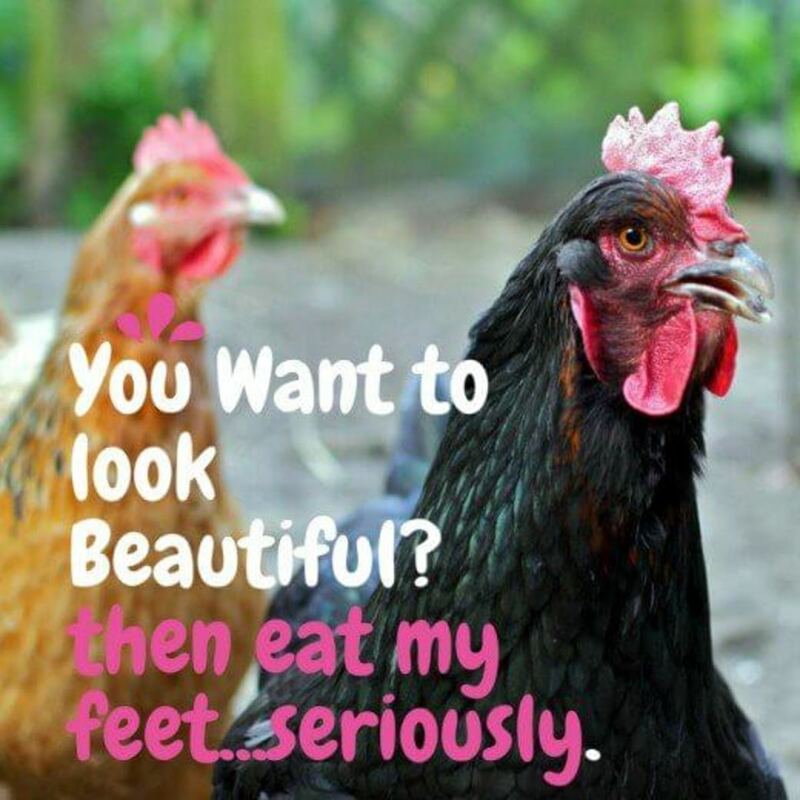 I would simply toss them into the pot and cook them the same way you choose to cook your carrots and onions. You could even toss the bean sprouts in at the end for a pleasant crunch, if you think your family will eat them that way. 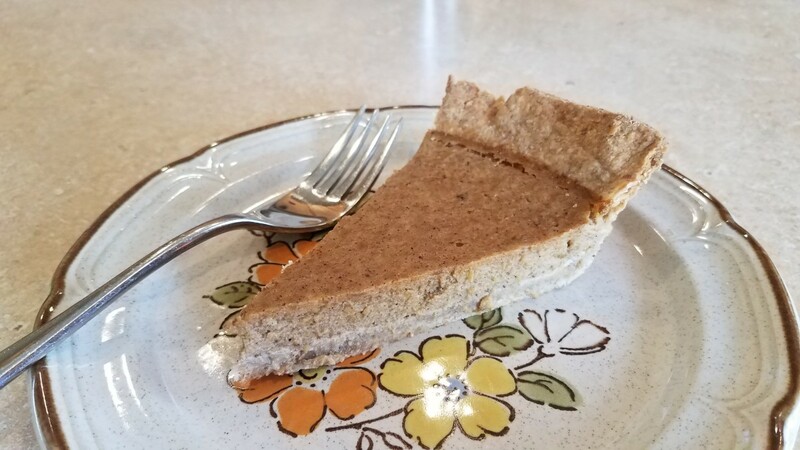 I have served this with a side of some steamed butternut or other variety of squash, or even some Brussels sprouts or asparagus. Yum! 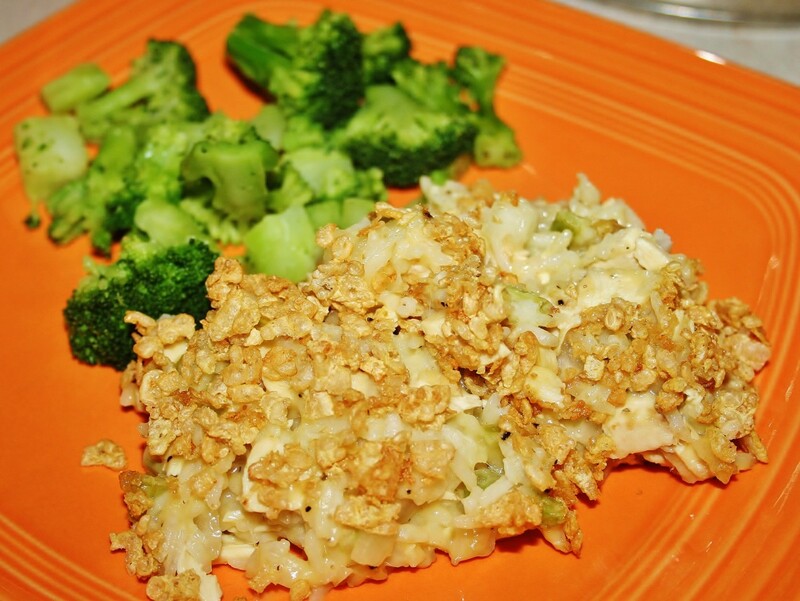 For some other great, really easy dishes, consider my Chicken Broccoli Alfredo Pasta or Chicken and Wild Rice Soup. Both are amazing! I'm all about simple and easy in this house. 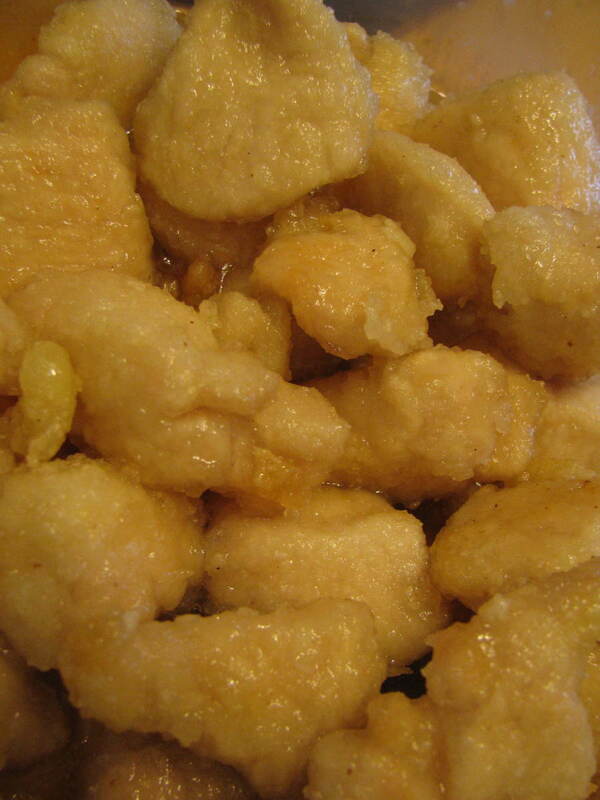 Feel free to peruse all of my delicious recipes for even more great ideas! Enjoy! This recipe looks excellent. 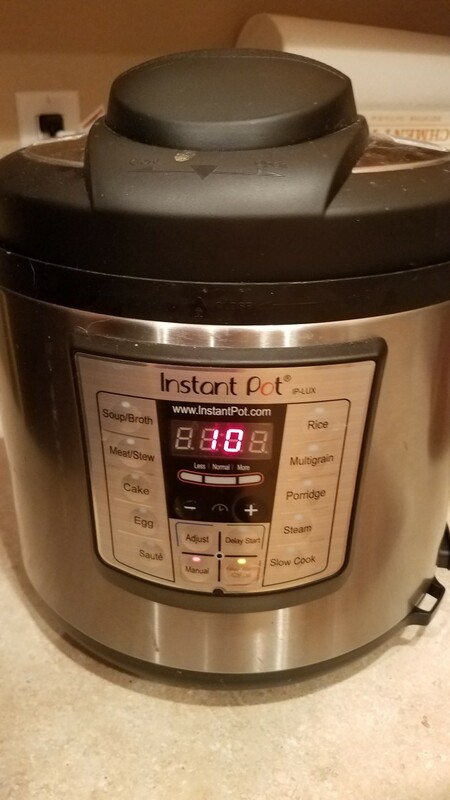 I have been thinking about buying an Instant Pot as it seems dinner can be ready so quickly.